Highlights of the Sky Bet Championship match between Brighton and Burnley. A stoppage-time header from defender Michael Keane rescued a point for Sky Bet Championship leaders Burnley in a dramatic 2-2 draw at third-placed Brighton. Dale Stephens gave Brighton the lead before Andre Gray levelled and Anthony Knockaert restored Albion's advantage on the stroke of half-time in front of a season's-high Amex Stadium crowd of 29,683. Burnley were controversially denied an equaliser in the 88th minute when a Keane header from substitute Matthew Taylor's corner was not given as a goal by referee Craig Pawson, although replays clearly showed the ball had crossed the line. Keane had the final say, however, rising unchallenged to power home another corner from Taylor in stoppage time to stretch Burnley's unbeaten league run to 16 games and maintain their three-point advantage at the summit. 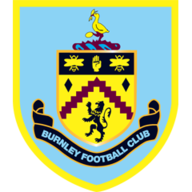 Unchanged Burnley, looking to bounce back into the top flight at the first time of asking, made a lively start and striker Gray had a low goal-bound shot saved by goalkeeper David Stockdale in the second minute. Brighton had a let-off in the 11th minute when Joey Barton got between centre-backs Connor Goldson and Lewis Dunk following a corner by David Jones and put a free header wide. The Seagulls, unbeaten at home since New Year's Day, failed to make the most of an opening when Tomer Hemed and Beram Kayal both had shots blocked before Liam Rosenior put an angled shot over. The Seagulls broke the deadlock on the half-hour when former Charlton midfielder Stephens scored his eighth goal of the season. French winger Knockaert whipped in Albion's second successive corner with pace and the ball flicked off Welsh international striker Sam Vokes before Stephens steered it home at the far post. Burnley's response was swift, though, and former Brentford striker Gray fired them level four minutes later with his 21st goal of the season. A corner by Jones was flicked on by Keane and Stephen Ward helped the ball on to Gray, who spun and turned in a low shot from point-blank range. 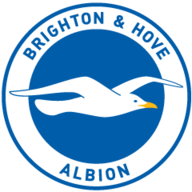 Brighton should have regained their lead when Hemed shot wastefully wide with the goal at his mercy, and keeper Tom Heaton was forced to parry a goal-bound effort by Sam Baldock. Chris Hughton's men went back in front on the stroke of half-time when Knockaert, restored to the side, scored a fine individual goal. Following a strong run by Kayal, Jamie Murphy played in Knockaert on the right-hand side and he switched from left foot to right before firing a low shot under Heaton with the aid of a deflection. Burnley continued to live dangerously and Hemed shot against a post from a tight angle in stoppage time. Albion began the second half in the ascendancy and Murphy put a right-footed shot wide from a pass by Rosenior before James Wilson, a first-half replacement for the injured Baldock, failed to get on the end of a cross from Bruno. Clarets boss Sean Dyche made his first change by introducing Taylor in place of Scott Arfield, and the midfielder had a shot blocked after Vokes played the ball to him. Goalkeeper Heaton kept Burnley in the game at the other end by superbly saving a left-footed shot from Knockaert following a cross by Murphy. Burnley had another let-off before the late drama when Hemed released Murphy and Wilson was unable to make contact with his inviting ball into the area.